As a designer, I am constantly looking on the web for the best home furnishings. And then there is an ah-ha moment! I find something incredible and special, and it makes my heart sing! 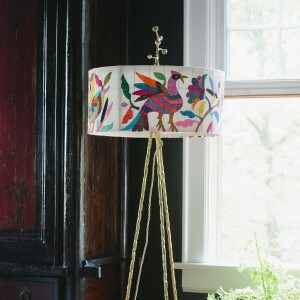 I first spotted this lamp, designed by Stray Dog Designs on Rosenberry Rooms. If you are familiar with Rosenberry Rooms then you probably know them for their amazing selection of furnishings for little ones. But, think outside the box. This incredibly cool and fun floor lamp would be a great addition to a home office or could add some color to a Living Room. Please take a look at my growing collection of other designer finds here on Pinterest.